Spalding Fly Predators for horses is a fast, easy way to help control flies in your barn, equine facility or cattle operation. 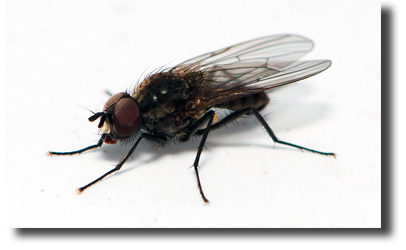 Fly Predators are the natural enemy of flies, but never bother animal or humans. 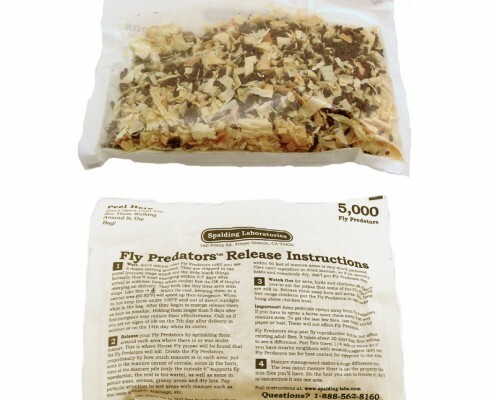 Simply sprinkle Fly Predators near all manure areas once every four weeks during the warm months and you’re done! 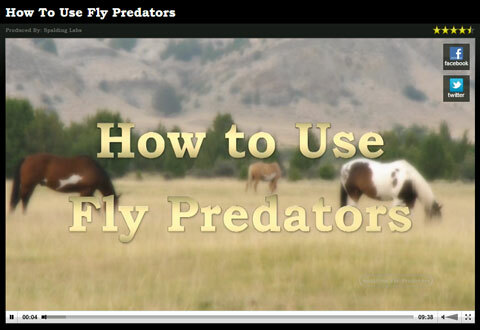 How Does Natural Fly Control Work? 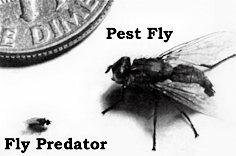 Fly Predators are beneficial bugs that control flies naturally by taking over the fly’s cocoon in the pupa stage, thereby killing immature pest flies. By stopping development early, you eradicate growth into mature flies and stop the fly life cycle. Because of their small size and the fact that they live on or near manure, you’ll probably never see these tiny little insects but will see the results. Watch this helpful video and learn how to be Fly Free. Come in to the store and we’ll help you complete the initial order form to get the first shipment of Spalding Fly Predators sent directly to you. New shipments will arrive automatically every four weeks. Your order for Fly Predators will be processed online and handled by our friends at Spalding Labs. Just click the link and you’ll be taken to the order page. New shipments will arrive automatically every four weeks. Cherokee Feed & Seed is your one stop location for all of your equine health needs such as wound care products, ointments, wormer and fly spray. We are proud to carry only the best products for our customers resulting in complete satisfaction. 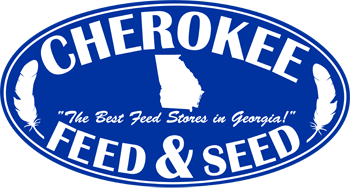 If we don’t have what you need in stock, Cherokee Feed & Seed would be happy to make a special order for you. To place an order for horse health products, please contact us.